This is a robust and highly durable surface, whereby the integral aggregates throughout the structural concrete are exposed on the surface, revealing a beautiful textured look of pebbles, rocks and shells. The finish is achieved by applying a chemical cement retardant after troweling the surface smooth of imperfections. Exposed aggregate won't wear, is a highly tactile surface, and can be composed to suit our clients diverse aesthetic requirements. This type of concrete is the most popular form of concrete and is best used for sidewalks, driveways and entertainment areas. When we refer to plain grey concrete or plain concrete, were referring to portland cement. By combining portland cement, fine aggregate (sand), course aggregate (crushed rock) with water for workability and viscosity we create concrete. Portland cement is the binder and the main ingredient for strength durability and diversity of application in concrete. Naturally grey in colour portland cement gives concrete its colour - plain grey concrete. Although mainly utilised for structural purposes, plain concrete is finding a new vogue resurgence in the decorative and high end applications. There is something beautiful about a hard troweled smooth plain grey concrete surface that is timeless and elegant. Getting the best quaility outcome for our clients is our main objective and with coloured concrete this is no different. Whilst their are two way to infuse the concrete with a coloured pigmentation, our preference is to combined the colour elements into the the pre-mix concrete before it is poured. This ensures that the product that is produced is evenly balanced and will withstand weather conditions without fading. Adding a colour pigmentation is a simple yet effective way of enhancing plain concrete. Pave cut concrete is an innovative solution to to achieving the illusion of paving or tiles in a more cost effective way. A process by which dimensional saw cuts are incorporated into the surface to emulate tiles or paving, the right surface finish and colour. Size and orientation for cuts are key, and we're here to advise the most complimentary set out size and location of the cut. Pave cut concrete is an ideal solution for outdoor entertainment areas. 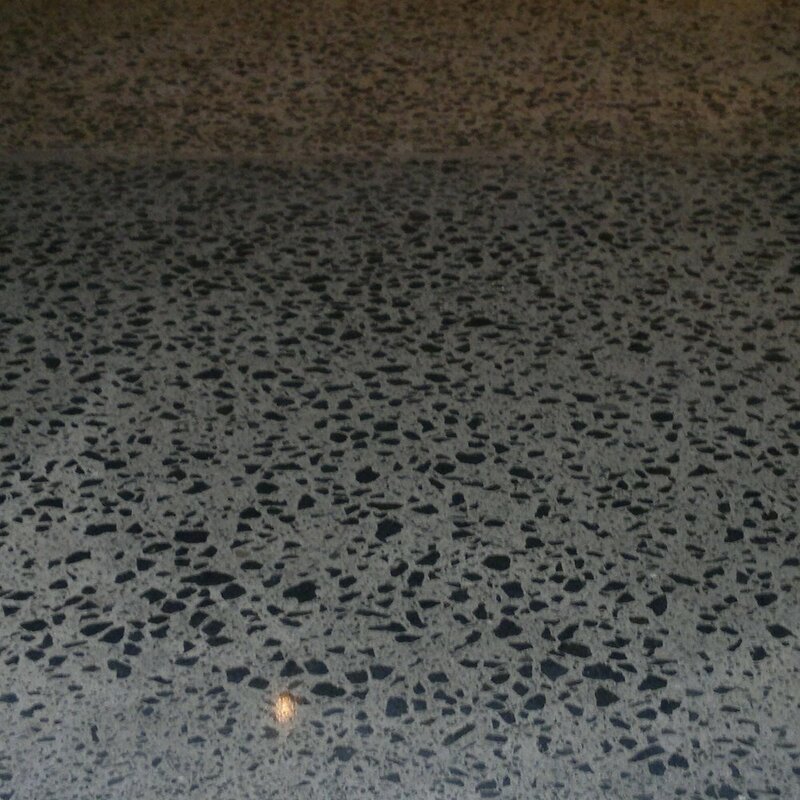 Polished concrete is a highly sort after concrete finish. After the concrete is placed, finished and left to cure, we return and grind back the cement surface, cutting into the composite aggregates to differing depth gives varying finishes. 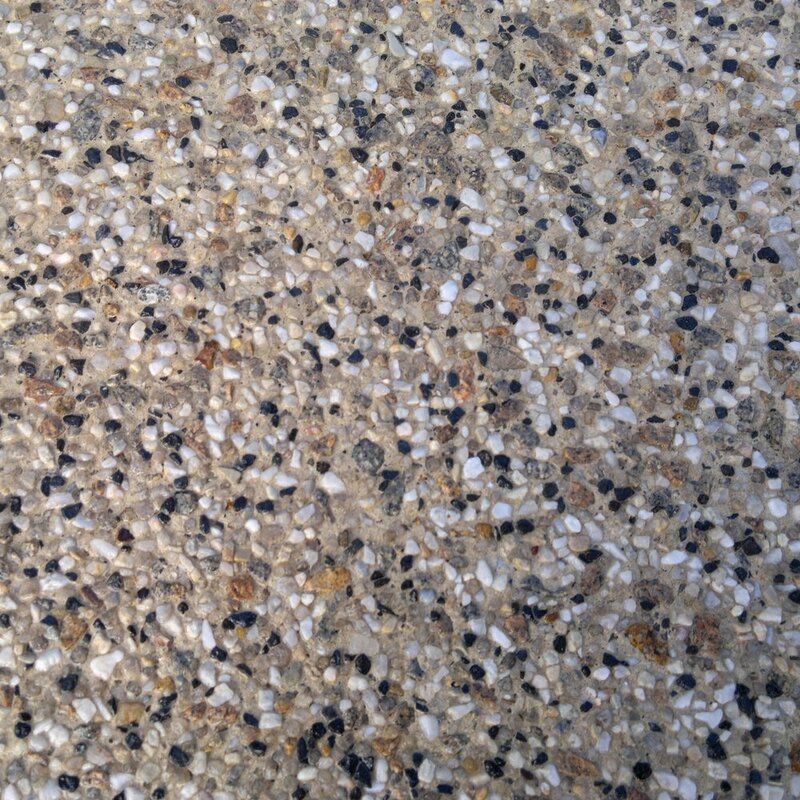 A light grind for that salt and pepper look, right down to a full exposure, terrazzo look for the old classics. Combining the right oxide colour additives and aggregates here can leave an impression. Outdoor, non-slip applications can be achieved with certain processes to achieve a tactile pavilion surface, perfect for pool surrounds and outdoor entertaining areas.